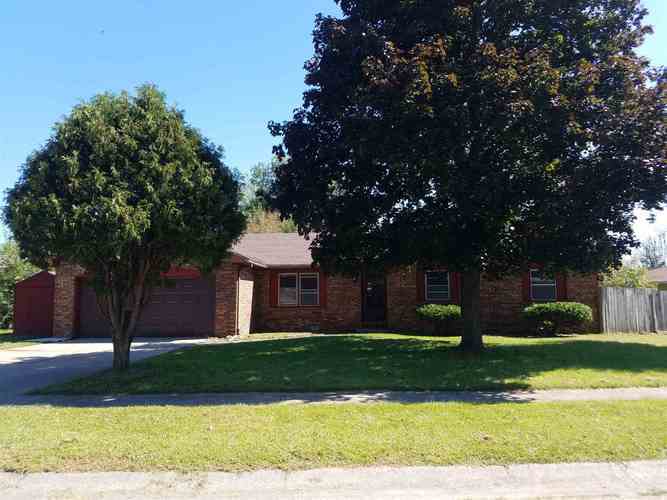 Well maintained 3 BR, 2 BA brick ranch in Cedar Crest S/D. Home offers a spacious LR, FR w/a wood burning fireplace, kitchen w/a dishwasher & disposal, 2 car attached garage. New flooring in all rooms (carpet & vinyl). Privacy fenced yard with a patio. C/A. Shed. Directions:From S. Goyer, turn onto Saratoga. Turn north onto Cadillac East. Turn onto Buick Lane. Home is on the right. Option 2: From S. Goyer, turn onto Mohr. Than turn onto Buick Lane. Listing provided courtesy of Sethi Team.